After several well-restrained months, I dove back into (primarily online) shopping with abandon this months! Some of my purchases have already arrived and some, like a pair of shoes and a misguided harem pant purchase, have already been returned. Such are the perils of online shopping, I suppose! 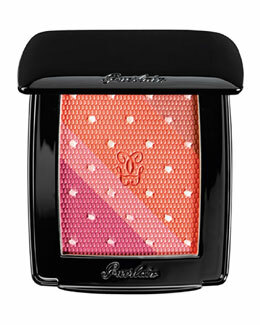 First up is a stunner: a gorgeous four-color blush from Guerlain's Fall 2013 collection. I regret not picking up the Guerlain Blush G Serie Noir from a few years ago, and when I saw the promo pictures for this, I knew I would be picking it up. So far the few reviews I have seen report that it is wonderfully pigmented, matte, and highly versatile. Neiman Marcus has this in stock as of today (July 29th) here and are currently offering a free shipping code until July 31st. Nordstrom should be getting it soon, and they always have free shipping, so keep your eyes peeled! I love this watch so much it will be getting its own blogpost soon. In the meantime, however, I will confess to the fact that my initial interest in this watch was due to its name: the Classic St Andrews Lady. 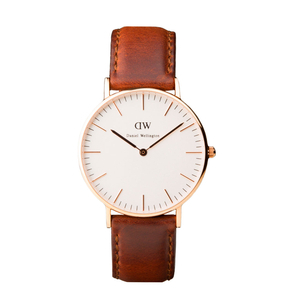 As an alumna of the University of St Andrews, how could I not love a watch that pays tribute to the beautiful town where I spent some of the best four years of my life? The watch is super chic, yet understated, and makes for a nice change from my silver Michael Kors that has resided on my wrist for the past few years. The face is a bit oversized, but doesn't overwhelm my small wrist. It is exceptionally thin, too, meaning that it doesn't snag on clothing or get in the way. And the rose gold detailing on the face have sent me into a full rose gold tail spin. I'm on a quest to finally clear up my skin for good and achieve the smooth, glowing texture I've always wanted. Being 27, I feel that it's about time! Skincare has never been a strength of mine--I usually just buy a bunch of products, slap them on, and hope for the best. So, I've been doing my research, which has included many hours reading various internet forums and blogs. Beauty Mouth, written by the outstandingly knowledgeable Caroline Hirons, has been particularly helpful. Something about the style of her writing has made things just click for me and I have begun to overhaul my skincare (once I've tested my current rotation of products for a while longer, I'm planning a post to discuss what has worked--and what hasn't--for me). This Skinceuticals Retinol comes highly recommended as one of the best non-prescription retinol-based products out there. I picked mine up from Dermstore.com when they were running a 20% off sale. 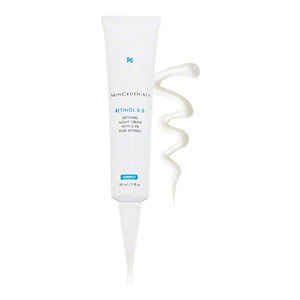 It has already begun to improve the texture and clarity of my skin, and I have not yet experienced the dreaded red/flaky/purging skin that many experience when starting a retinoid regime. Yet. 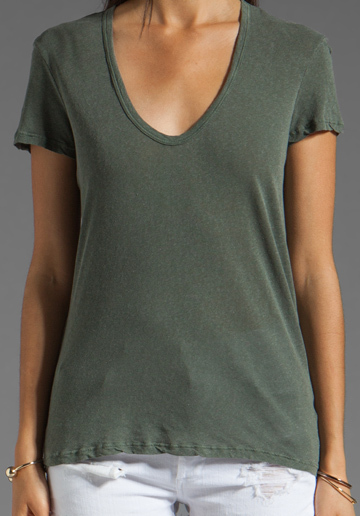 Who doesn't love a good tee shirt? It is a universal staple of wardrobes worldwide. It is also something that I never gave a tremendous amount of thought until recently. I'm in the process of revamping my wardrobe as there are a lot of items that I've hung onto since my early university days or--gasp--even highschool. I'm trying to focus on getting high quality pieces that will stand the test of time, figuring that I can relegate more trendy styles to accessories and jewelry. Anyways, getting back to this tee shirt, I realized that the only tees I own are old ratty ones that I only wear to the gym. So, I asked around for opinions on the best tees. I tried Pickwick & Weller and while not bad, they weren't for me. I also ordered, sight unseen, this tee shirt by James Perse from RevolveClothing.com (which has quickly become one of my absolute favourite online shopping destinations). This purchase has not yet arrived, so I cannot comment on it first hand...other than to say I am beyond excited for its arrival! My hair has always been more or less of an after thought, but I feel it's high time I find some good products and learn how to style it better! Anna from Viviannadoesmakeup absolutely raved about this product! And being the impulsive shopper that I am (combined with my trust in her opinion! ), I immediately ordered this. 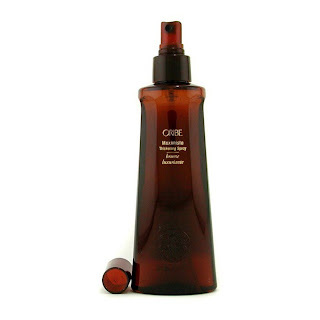 After being sprayed onto damp hair, Oribe promises that this spray will give you big, voluminous hair. I can't wait!